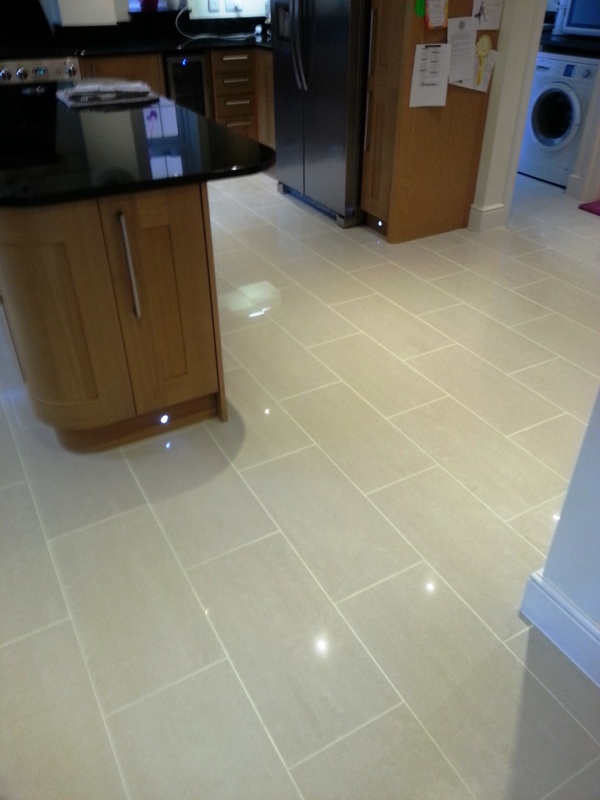 The grout lines on this Porcelain floor in a Luton Kitchen was excessively stained and even with the application of the heavy duty cleaning products we have at our disposal it was very unlikely that it could be restored to its former standard. The best option therefore was to colour the grout using a Tile Doctor Grout Colouring kit. 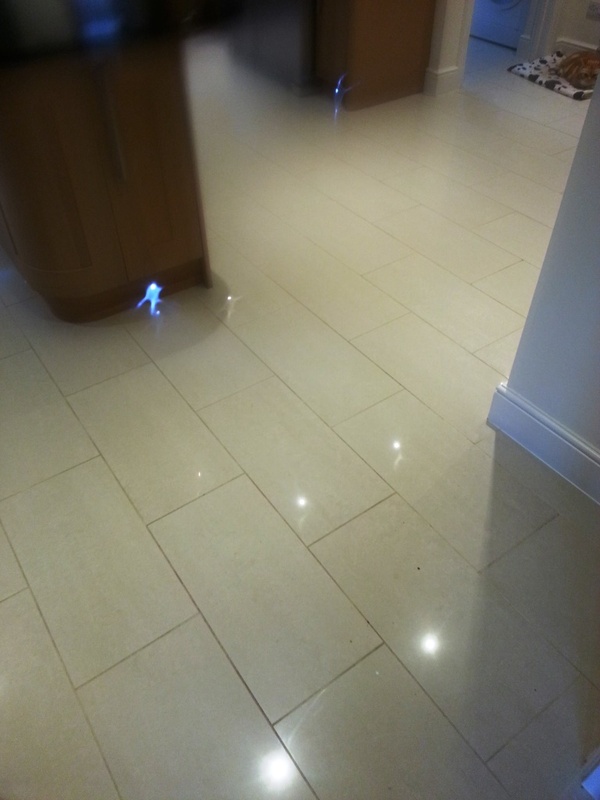 The customer wasn’t completely sure which colour would suit best so I was able to test the effect of various colours within the Tile Doctor range by applying a small amount to the grout colourant in different colours to the floor and then wiping it off before it had chance to harden. This helped and the sandstone colourant was decided upon, the range includes a number of popular colours so it can be a tricky decision; I’ve included a table of the range below so you can see for yourself. (Colors are displayed as accurately as possible. Some colors below may not represent exact grout colors. They may appear differently on computer monitors with different resolutions). Before applying the colourant the grout needs to be clean and free of any debris; you can a strong dilution of Tile Doctor Pro-Clean for this Tile Doctor however do sell a special Pre-Treater product that is recommended for this, its mildly acidic which etches the grout to provide a better bond. The Pre-Treater is safe to use on Porcelain tiles but for natural stone such as Marble or Travertine I would go with Pro-Clean. Once the floor was dry I started with the application of the white colourant using a tooth brush to paint it onto the grout, pressing down firmly to make sure it is keyed into the original grout. Once the whole floor had been covered and all the grout lines coloured, we let it dry for several hours returning to clean up the tiles. Once all the excess colourant had been removed we used a polishing pad to buff the floor back to a polishes state. Apologies for the photographs which are not my best but I think you can see the improvement.